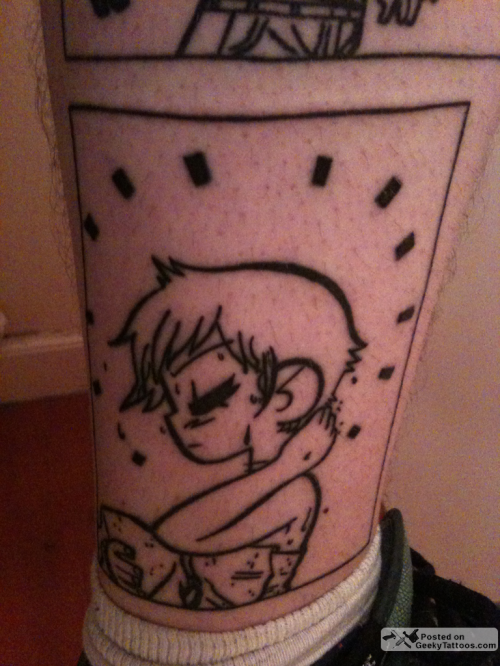 Yep, I’m still getting Scott Pilgrim tattoos sent in and you know what? I love it. This one however is on someone that’s no stranger to Geeky Tattoos. 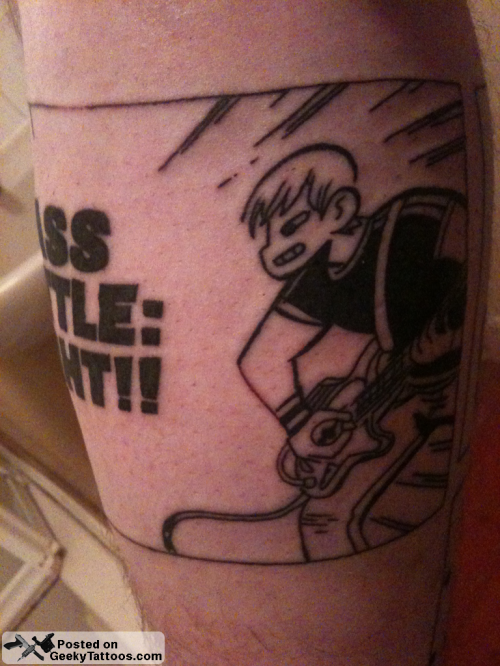 Apparently David didn’t get enough Scott Pilgrim ink when he got his “Level Up” tattoo. He said that he felt he needed to add Ramona, so y’know, he got her in a towel tattooed on his leg. It’s the only sensible thing to do. 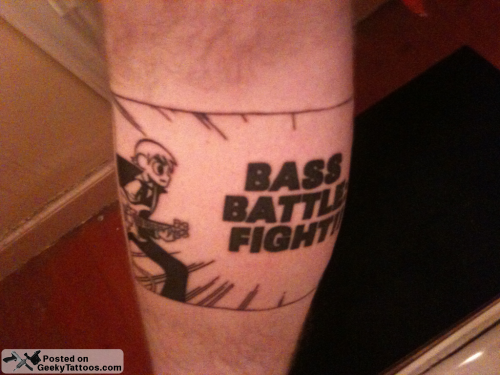 And then he got the bass battle one too because “the boss battles are so epic”. Give him a little more time and I think he’ll end up with the whole series on his skin. Ink by Kris Leather at Tiki Monkey Tattoos. Tagged with Kris Leather, leg, Ramona Flowers, Scott Pilgrim, Tiki Monkey Tattoos.